I started using 1Password several days ago and it's gone OK. I would now like to change my master password. According to the support pages, I do this through clicking Preferences/Settings on the menu bar. However, I don't have a menu bar. According to something else I read on this discussion page, this might be because I have not downloaded the AP. I thought I had already done this, but maybe not. So, I went to the Ap store and tried to download it. However, it will not download. In all honesty I can't tell if this is a glitch in the download process or if it's not downloading because I already have downloaded it. I'm very confused and unsure how to proceed. Thanks. If you have already downloaded the App, you should see a "Open" button instead of a download or install button. It will install to /Applications/1Password 7. I'm fairly sure I signed up through the App. When I sigh into my account, I can access the passwords used to sigh in to my various sites, but there seems to be no menu bar to access settings. It must be somewhere? Given I wasn't 100% sure if I downloaded the ap, I used your link and downloaded it again - or at least went through that process. Nothing changed regarding what I have access to on my computer. I think I'm reasonably tech savvy for a non millennial, non-IT person, but I've been continually flummoxed by this program. Most of the quirks I have been able to sort out with the help of the support stuff on the internet, but this has really got me confused. I'm contemplating deleting the program and getting something else, which I really don't want to do because it seem like once it is set up it is fairly easy to use. Is there any way to talk to a person on the support team on phone or by chat?? 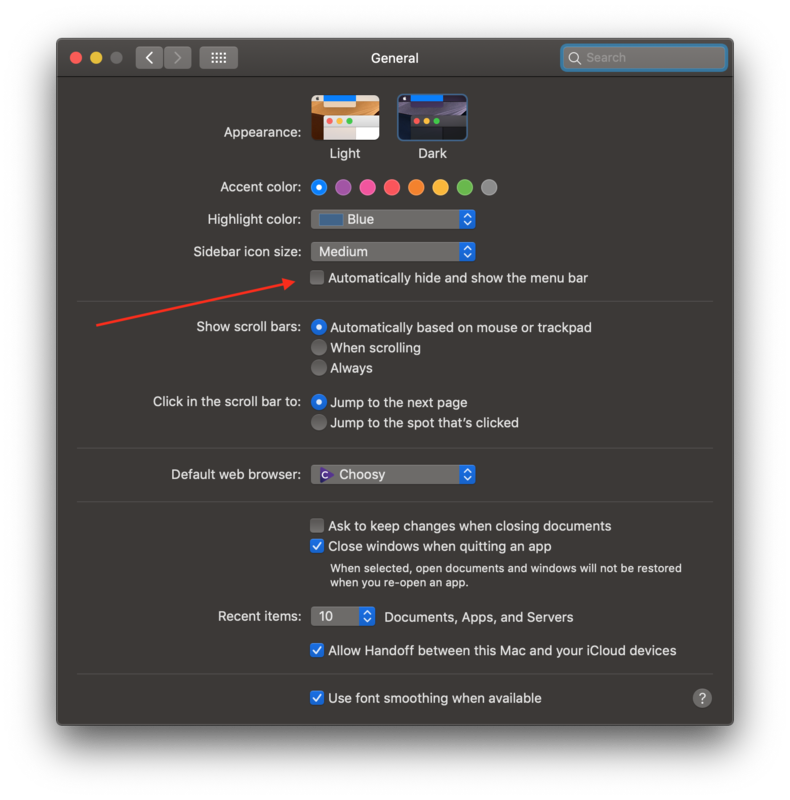 If you run MacOS you most certainly have a menubar since it is part of your operating system and you would miss it in a lot of other circumstances as well. What might be possible is that you enabled "hiding menu bar" in your system. In that case, when 1Password is in focus, take your mouse cursor all the way to the top of your screen to unhide the menubar. Then click on "1Password 7" and click on settings. As an alternative you can press the settings shortcut on your keyboard (usually it is ⌘,). It always appears on the top, if you enabled the setting to automatically hide it, it appears if you take your mouse to the top of the screen (but this would be a rather exotic setting, I don't know anyone who enabled this). To Lars and Peacekeeper - thank you so much for responding. The light has finally dawned in my thick head. I now realize that everyone was referring to the Mac menu bar. I had been under the impression that there was a menu bar in the 1Password "working" screen - the screen that you see when you open 1Passport. So, now that I'm enlightened - here is my probably much simpler and answerable question . When I click on Preferences and then "Security", where do I find the option of changing my Master Password? Thank you so much for indulging and being patient with an older user. To Lars and peacemaker - I have browsed the discussion board topics and found the answer. To change a Master Password, it is under "accounts" not "Security". Thank you again for responding to my question that , turned out to, simply be reflecting my errant way of thinking. I am glad to hear I could be of assistance. Have fun using 1Password, it‘s great to know that you care for your online security! @mdanica7833 - hey, no worries! Glad you managed to get everything straightened out, and feel free to let us know if you have any further troubles or questions. Cheers!